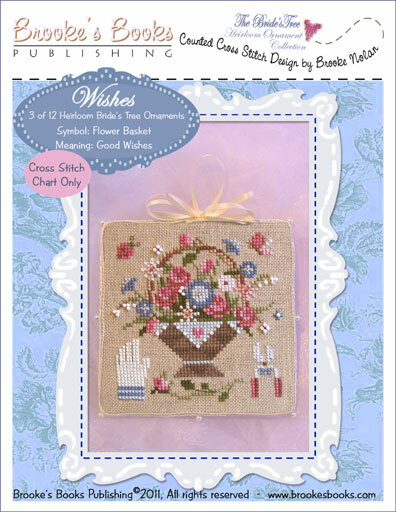 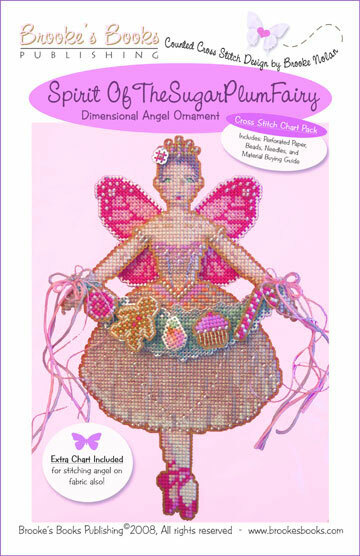 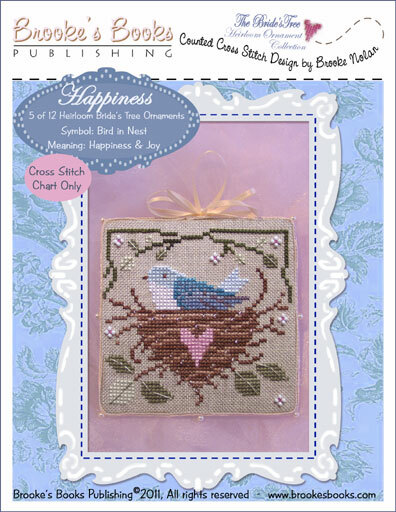 Includes: 14 count metallic silver perforated Paper, glass seed beads, tapestry and beading needles, 2 pin backs and charted design with complete finishing instructions to make 6 motifs. 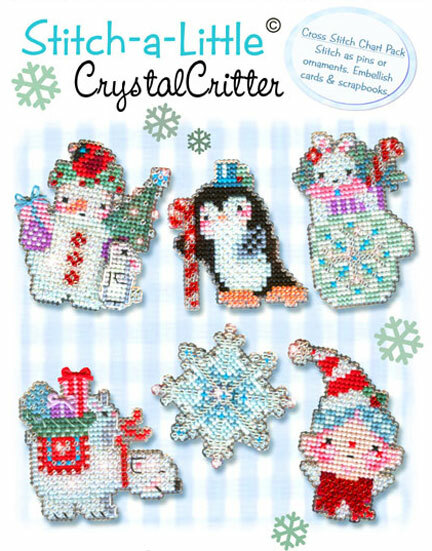 These little guys stitch and bead up quickly for great last minute holiday gifts. 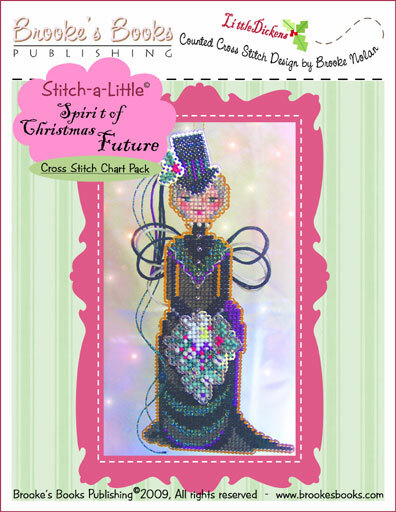 Make them up as pins, ornaments or embellish cards and scrapbooks with them. 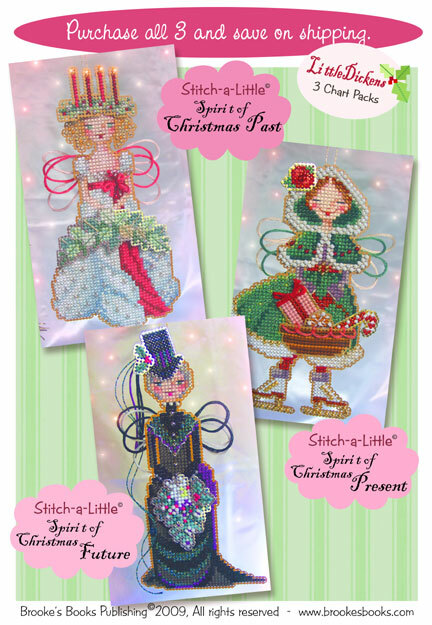 They are approximately 1.5"x 2.25" each. 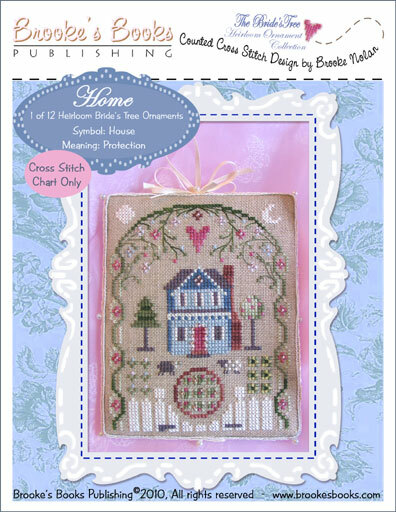 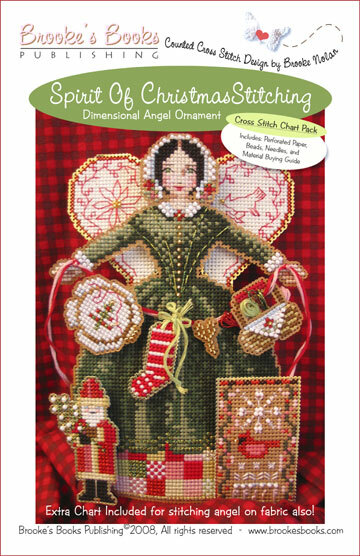 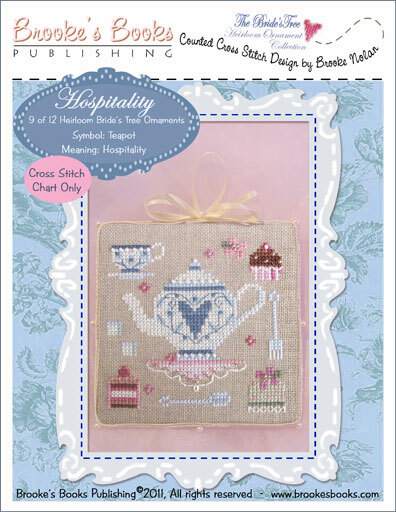 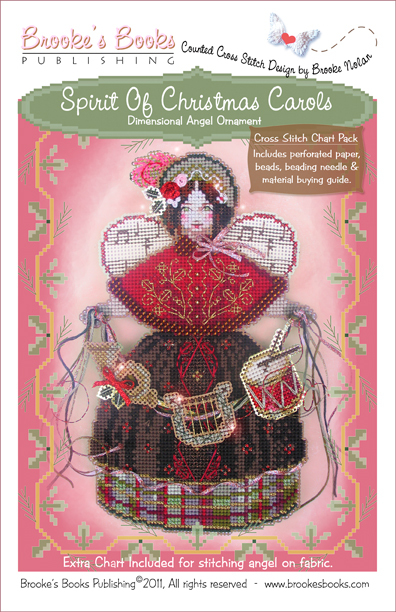 Includes: Witchelt Imports' Antique Brown and Metallic Gold & Silver perforated paper, Mill Hill seed beads, tapestry & beading needles and chart with instructions for all three ornaments. 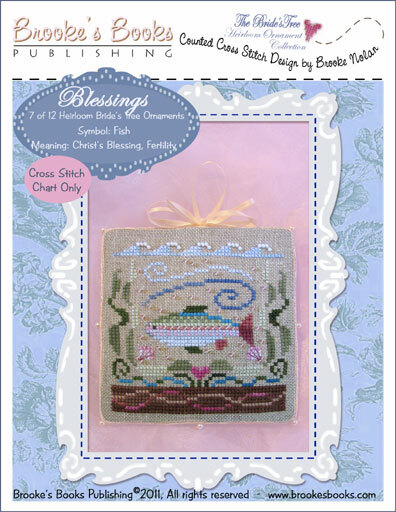 Finished dimensions approximately 4" x 5.5"
Includes: Witchelt Imports' Antique Brown and Metallic Silver perforated paper, Mill Hill seed beads, tapestry & beading needles and chart with instructions. 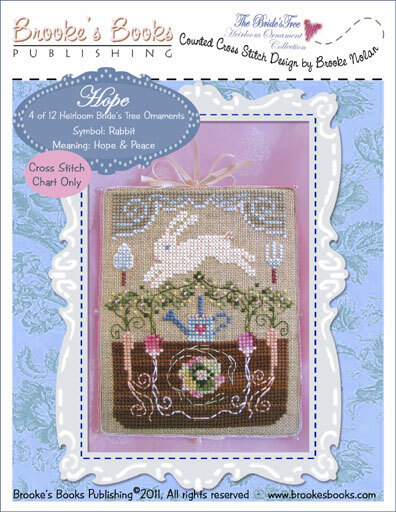 Finished dimensions approximately 2.5" x 6"
Includes: Witchelt Imports' Antique Brown and Metallic Gold perforated paper, Mill Hill seed beads, tapestry & beading needles and chart with instructions. 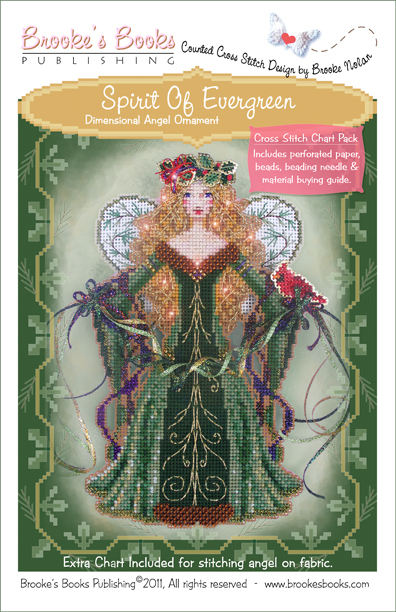 Finished dimensions approximately 3" x 5.5"
Finished dimensions approximately 3" x 6"
"Peg The Plum Pudding Angel"
Includes: Witchelt Imports' Antique Brown, Metallic Gold & Silver perforated paper, Mill Hill seed beads, tapestry & beading needles and charts with instructions for all three ornaments. 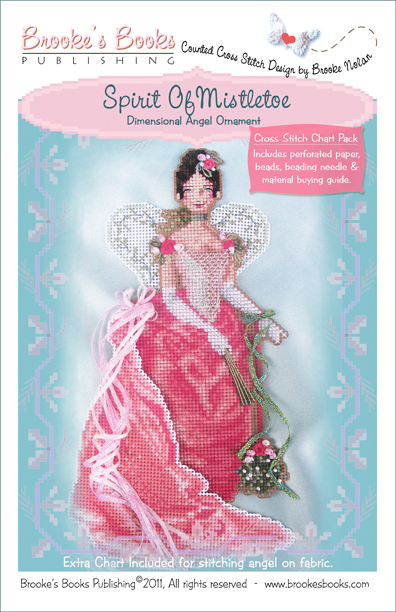 Finished dimensions approximately 4" x 6"
Click here to download the Material List for Pinky. 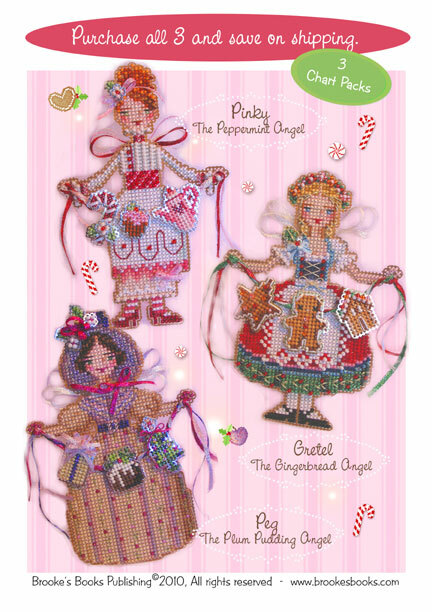 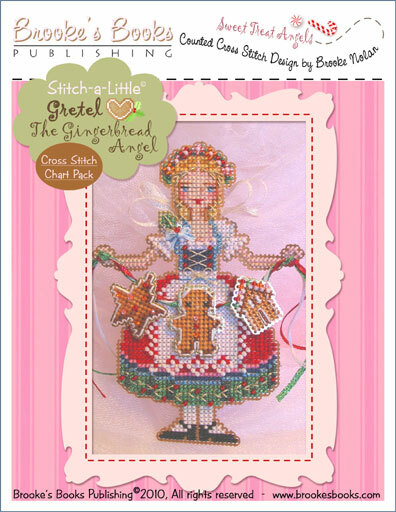 Click here to download the Material List for Gretel. 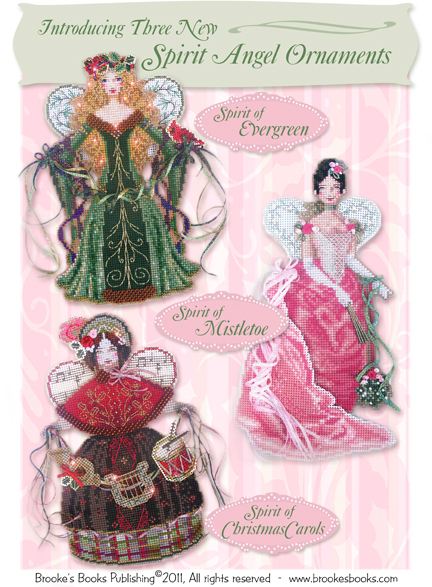 Click here to download the Material List for Peg. 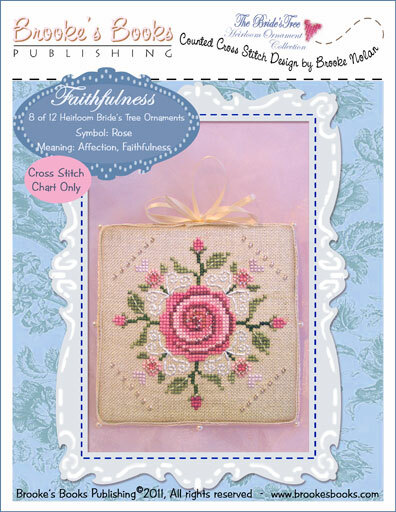 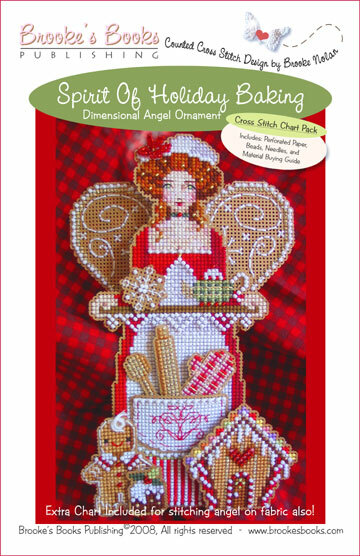 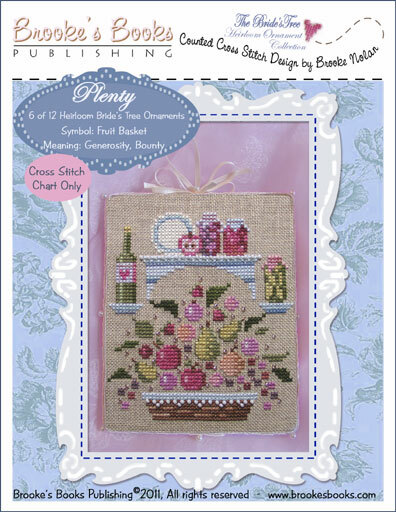 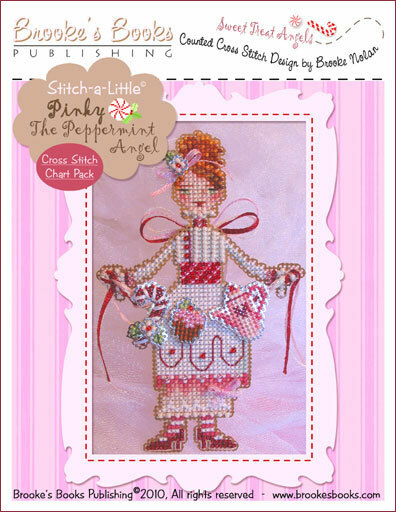 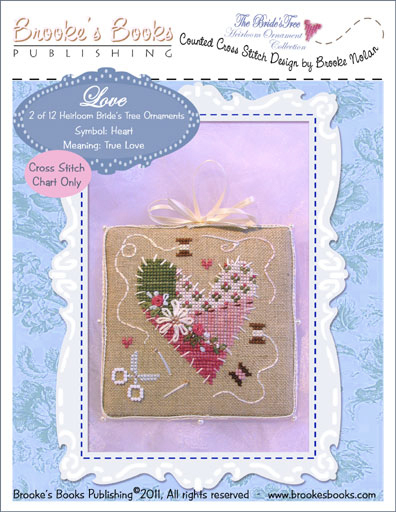 Stitch-a Little "Pinky The Peppermint Angel"
Includes: Witchelt Imports' Antique Brown & Metallic Silver perforated paper, Mill Hill seed beads, tapestry & beading needles and chart with instructions. 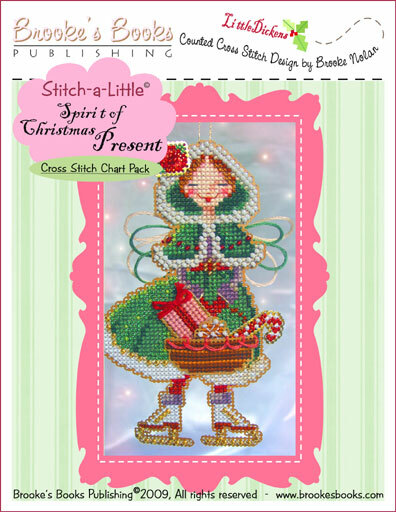 Finished dimensions approximately 3.5" x 5.5"
Stitch-a Little "Gretel The Gingerbread Angel"
Includes: Witchelt Imports' Antique Brown & Metallic Gold perforated paper, Mill Hill seed beads, tapestry & beading needles and chart with instructions. 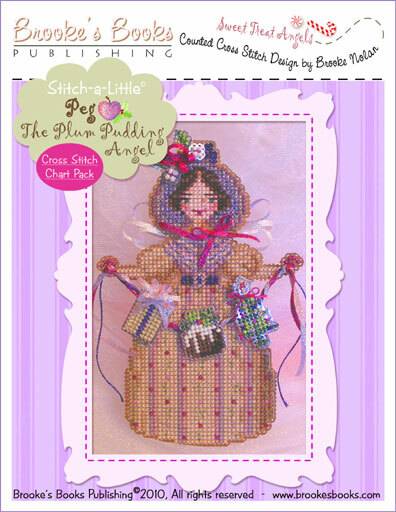 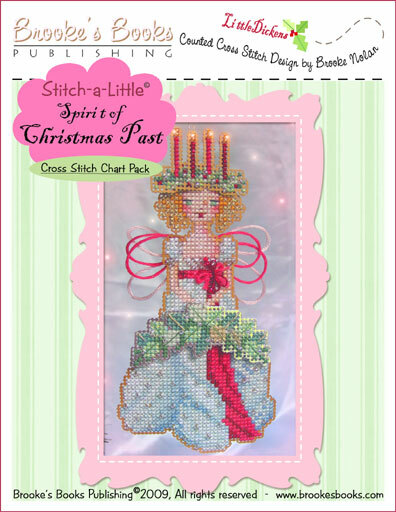 Stitch-a Little "Peg The Plum Pudding Angel"